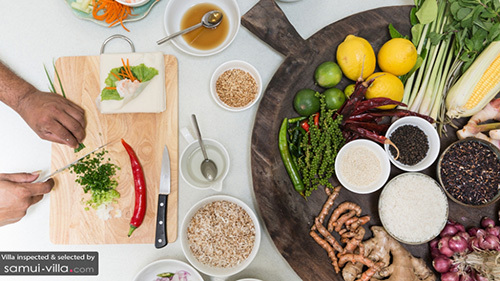 We are all familiar with the diverse flavour profiles of Thai fare. Sweet, savoury, spicy and tangy – a single dish can easily present a myriad tastes. 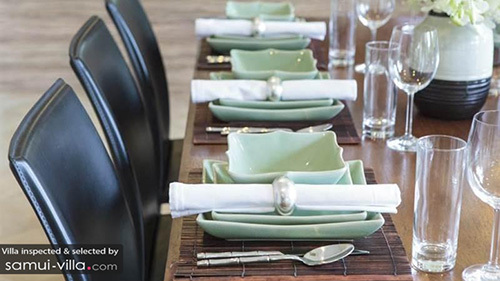 This popular cuisine can easily be found in restaurants and eateries around the world, but once you have experienced an authentic meal in a gorgeous setting at your private villa at Samui, no other dining experiences quite compares. 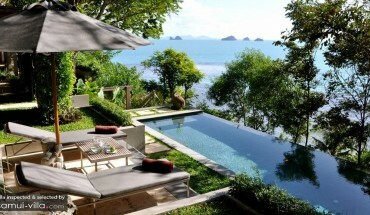 A spectacular holiday home perched atop the hills of northern Samui, Celadon Villa undoubtedly impresses with its chic decor, luxe amenities and unobstructed panoramas of the island’s coastlines and sparkling ocean. Start your morning on an invigorating note with a dip in the cool waters of the infinity pool, and let the bright tropical rays leave a golden, sunkissed glow on your skin by sunbathing upon the loungers on the terrace. 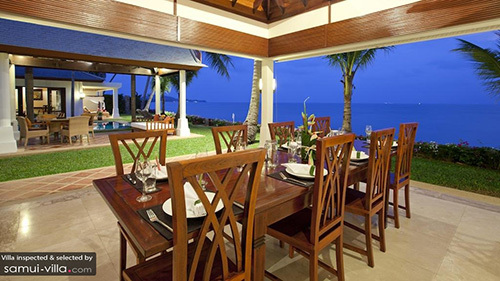 When it comes to mealtimes, you will enjoy nothing but the very best at this luxurious villa. 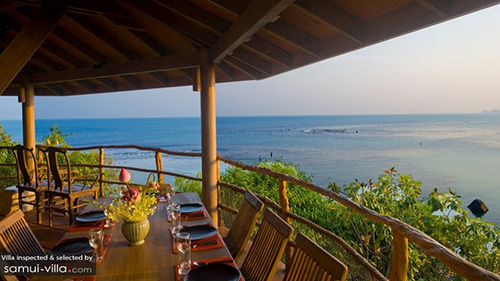 The in-house chef will whip up a storm of culinary delights catered to your personal tastes and preferences, and the breezy dining area provides striking sea views and ample space for a large group. If tucking into a meal indoors does not float your boat, fret not – a quicky fifteen minutes’ drive will bring you to the nearby Bophut Fisherman’s Village, where a plethora of dining establishments await. Look forward to waking up to a captivating view each morning at Crystal Blue Villa – one that encomprises clear blue skies, fluffly white clouds, tropical greenery and Samui’s rugged coastlines. 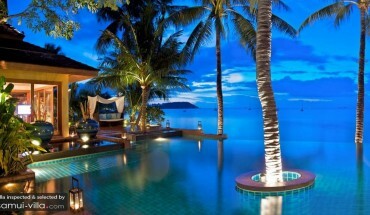 Outdoors, you will find an expansive infinity pool, spacious pool deck and airy terraces. Well-appointed living spaces, adorned with murals, art works and sleek furniture, fill up the interiors. An open plan kitchen serves well as a culinary playground for avid cooks, and the luxe dining area offers a perfect spot for the rest of the party to feast on a spread. 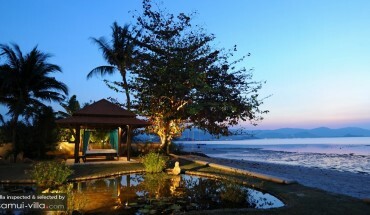 Travellers with a taste for traditional and rustic abodes will find their dream vacation home in Villa Samudra. The living areas, decorated with quirky ornaments and oriental furniture, get a touch of vibrancy from the richly-coloured linens and drapes. Other quaint features, such as the thatched roofs, latticed windows and cobbled pathways add on to the villa’s charm. Each and every dining experience promises to be a feast for the senses, for guests dine in an expansive sala that invites gusts of sea breeze and provide vistas of Samui’s sweeping oceans. 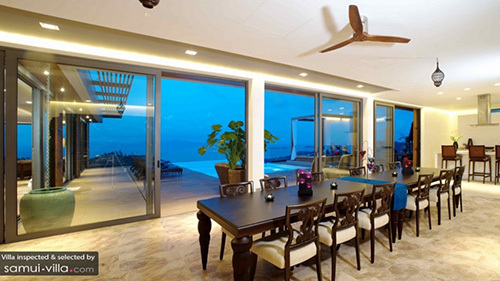 Villa Sasa welcomes vacation makers with its modern interiors, homely vibes and lush living spaces. Vacation makers will find a series of open plan living spaces that blend seamlessly into each other, all of which are furnished with contemporary touches and creamy hues. The villa puts guests within close proximity to a variety of restaurants, shops and bars – but when a cosy abode is a place you call home, it might be a better option to stay in. A beachfront location, magnificent sea views and lush tropical garden makes Villa Waterlily a dreamy holiday home in the tropics. You will easily settle into an idyllic island lifestyle here, filling up your days with strolls along the beach, sunbathing sessions out on the lawn, dips in the pool and meals in the commodious pavilion.